When you’ve been hurt on the job, your first course of action will typically be to hire an experienced workers’ compensation attorney and file a workers’ compensation claim. You may be uncertain if your claim is covered. Under the New York workers’ compensation laws, there are two requirements to qualify to payment of benefits. You must have been injured and the injury must be work-related. Let’s look at some situations where there may be questions about whether your injury occurred at work. You’ve suffered a needless injury on the job and know that you have a right to seek workers’ compensation benefits, but you have a lot of questions about the legal process. Here are answers to some of the questions our clients often ask us. If you have suffered any type of injury on the job in the state of New York, you may have questions about whether you are entitled to benefits through the state’s workers’ compensation program. Here are some frequently asked questions about the types of claims that can be filed. When you’ve been injured on the job or developed an illness because of exposure to workplace conditions, the first thing you want to know is whether or not you’ll be eligible for workers’ compensation benefits, so that you can meet your financial obligations and get the medical care you need. Here are some frequently asked questions about qualify for workers’ compensation in New York. When you’ve been hurt on the job in New York, you may know that you have a right to seek workers’ compensation benefits, but you may have little or no understanding of how to do that and what you can and cannot expect. Here are answers to some frequently asked questions about the basics of the workers’ compensation system. After suffering an injury on the job in the State of New York, you have a right to pursue benefits to cover certain losses, from wages and income to necessary and reasonable medical expenses, as well as compensation for any permanent losses (amputation or other permanent injuries) and for vocational rehabilitation. But who are the parties to a workers’ compensation proceeding? Are all workers eligible for benefits and must all employers provide workers’ compensation benefits to qualified workers? When you have suffered needless injury in the course of your employment because of the careless acts of your boss or a co-worker, you have the right to pursue benefits through the New York workers’ compensation system. When you have a valid workers’ compensation claim in the state of New York, you are entitled to payment of or reimbursement for all “reasonable and necessary” medical treatment. That includes doctor visits, hospital or urgent care facility expenses and even medication costs. There are specific guidelines to inform medical caregivers regarding what types of treatment may be given and what procedures must be followed. Here are some of the commonly asked questions about the New York workers’ compensation medical treatment guidelines. 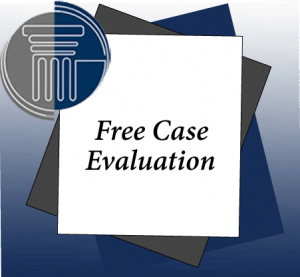 FAQ–Should I Try to Settle My New York Workers’ Compensation Claim? It’s a common misperception that most people who are receiving workers’ compensation benefits either had their initial petition approved by the workers’ compensation insurer or successfully appealed a denial. The reality is that most workers’ compensation claims in New York are settled—the injured worker frequently agrees to take a lump sum in exchange for waiving the right to receive benefits for a period of time or until capable of returning to work. FAQs—How Can I Help to Get the Best Result in a Workers’ Compensation Claim? When you’ve been hurt on the job, you have the right to file a workers’ compensation claim for benefits to cover lost wages and medical expenses. You’ll want to hire an experienced attorney who knows exactly what to do to successfully walk you through the process. But it’s pretty common to ask: what can I do to help get the best result? In the aftermath of a workplace injury, when you’ve filed for workers’ compensation benefits, you have a right coverage for any medical treatment or attention that is required because of your injury. What does that include? What are your rights with respect to medical treatment? Here are some of the most frequently asked questions about medical treatment after an injury on the job. If you’re a licensed attorney in the state of New York, but you don’t handle workers’ compensation claims, you still want to be able to give your clients direction if they’ve been hurt on the job. When you have been hurt, in any type of an accident, you want care from a qualified and competent professional. If you can get treatment from someone you know and trust, that’s even better. If you’re an attorney or lawyer whose practice doesn’t include work-related injuries, you may have a client who’s been hurt on the job, but who either wants to save money or thinks the claim is so straightforward that legal counsel isn’t necessary. When you are a doctor and have a patient come to you claiming to have been injured on the job, it can be extremely helpful to have a basic understanding of the workers’ compensation laws and process. Here are some frequently asked questions about workers’ compensation that have medical implications. Under the New York workers’ compensation laws, when you have suffered a workplace injury or have contracted a disease related to your employment, you have the right to file a workers’ compensation claim and to get payment for certain medical expenses. What types of medical bills are covered? If you’re an injured worker seeking benefits to cover lost wages or unreimbursed medical expenses, or you’ve developed an illness because of a jobsite exposure to toxic materials, it’s critical that you retain a lawyer with extensive knowledge, skill and experience handling workers’ compensation and workplace injury claims. As a general rule, when you’ve suffered a workplace injury, the first place you’ll go for treatment or diagnosis will either be to the hospital, an urgent care facility or to your own personal physician. In some instances, your employer may accept the medical opinion of that care provider, approving your claim. In the state of New York, most employers are required to provide workers’ compensation benefits to injured workers. This two-part series looks at frequently asked questions for employers about meeting their obligations under the state’s workers’ compensation laws. To learn more about who must obtain workers’ compensation insurance, see part one of this series.